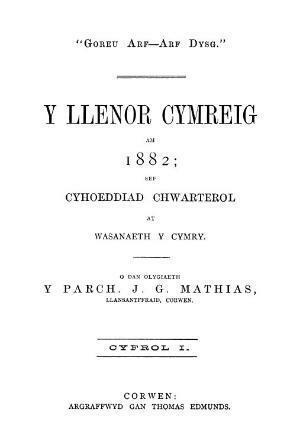 A monthly Welsh language general periodical that published articles on geography, the natural world, astronomy, history, science and literature, alongside poetry. The periodical was edited by its founder, the minister and man of letters John Goronwy Mathias (Goronwy Ddu, 1842-1895). Originally a quarterly publication it was published monthly from January 1884 onwards.